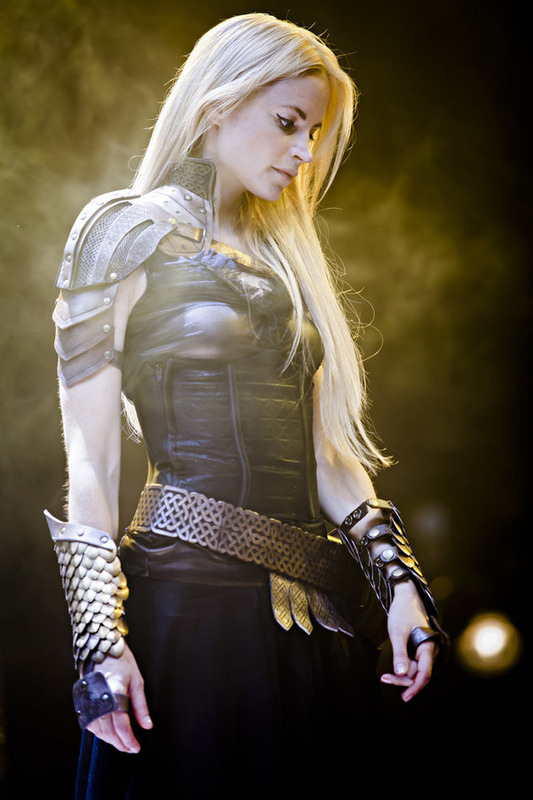 Dominion Review - Syfy Offers Up Wacky/Serious TV Option - Are You Screening? Syfy has a tricky base of fans, and Dominion may just be the kind of crazy that works for a lot of them. The network’s identity can seem a bit polarizing, with Haven, Helix, and Being Human fans perhaps not wanting to identify themselves as also Sharknado fans. 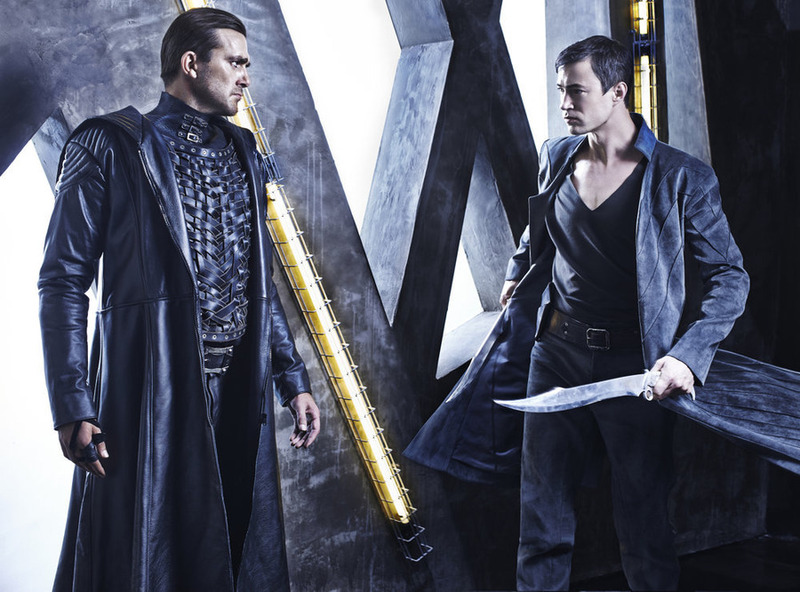 That leaves an area open which some consider to be something like “mid-range Syfy.” Different shows fall in different places on the hokey spectrum depending on who you ask, but Dominion, based on the 2010 film Legion, is clearly trying to see just how far you can push things. 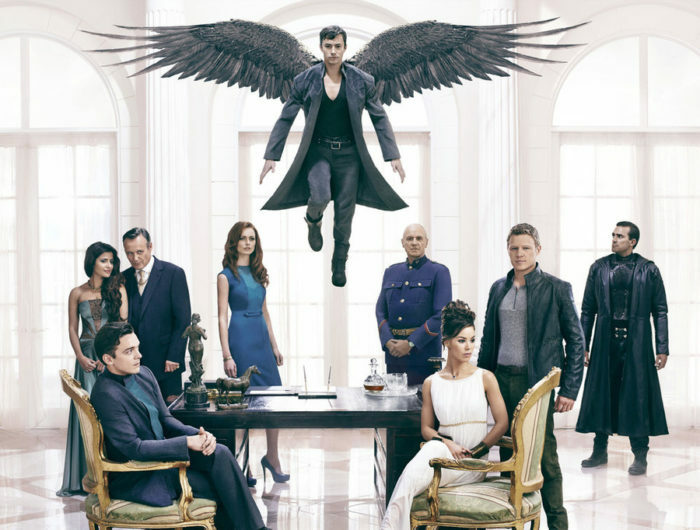 Much like the film that came before (and indeed, Sharknado), Dominion sidesteps certain requirements of cohesion, believability, and logical construction and/or characters, by having a basic premise so bonkers that it is ultimately critique immune. It’s a story about angels attacking humans because God “disappeared.” If you want characters that do things that make sense, or a plot with some meaningful structure, you need to remember the waiver you signed at the door, and look elsewhere. 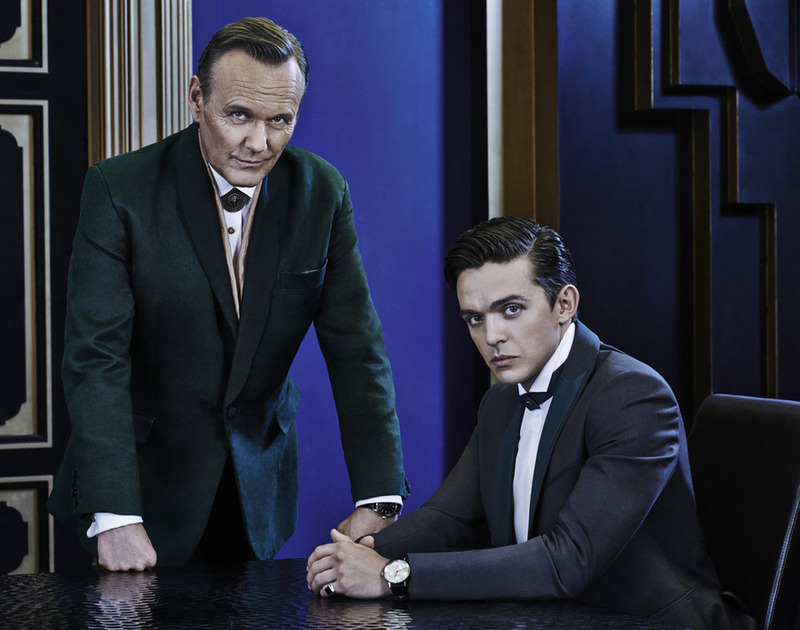 That said, there is still some question of the relative “goodness” of even cornball shows, and with Dominion spicing up its cast with both Anthony Head (of noted cornball superstars Buffy the Vampire Slayer and Merlin), and Alan Dale (of much more legitimate work), it’s tricky to write off the show at first glance. Plus, if we can try to remove the goofiness lens at the start, the show kicks off with a surprisingly solid effort at the varied establishment it has to get through. That can be difficult to appreciate, because what we’re establishing is that we are years after a war involving Angels, and “angels” (who have to possess humans), and humanity only survives in walled cities which are now governments unto themselves. 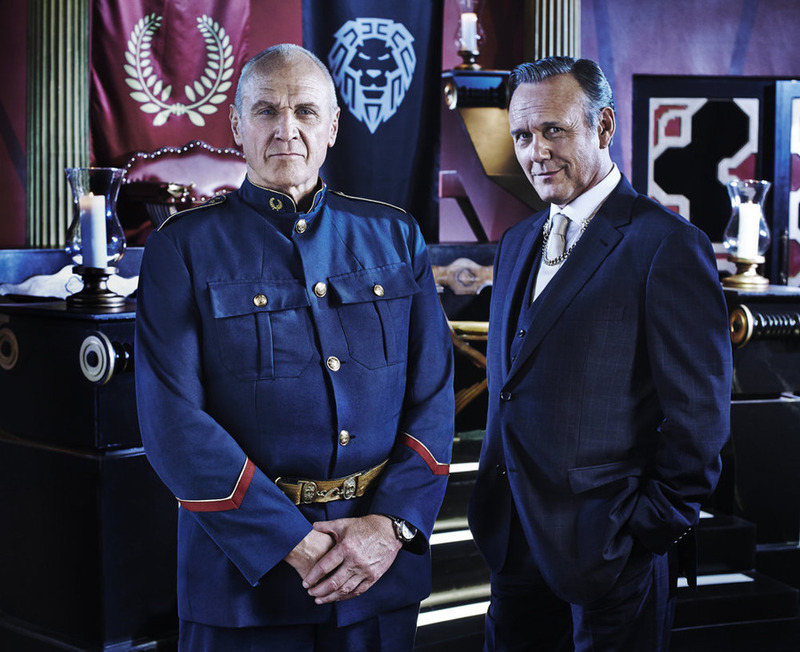 General Riesen (Alan Dale) and David Whele (Anthony Head) now run Vega (formerly Las Vegas) after creating what is basically your average, dystopic caste system. 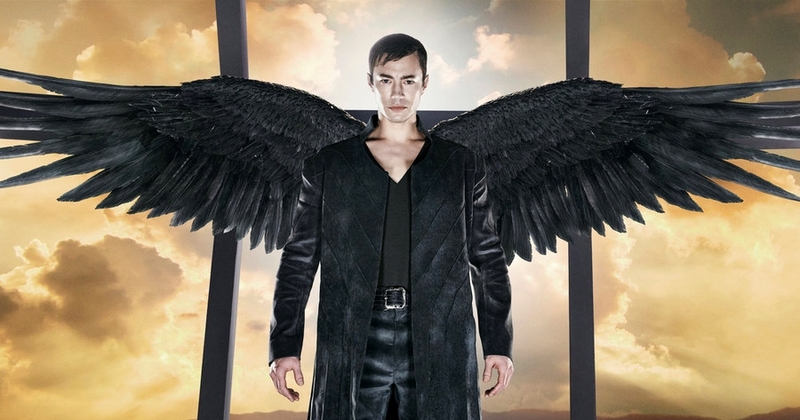 Archangel Michael (Tom Wisdom), who fought to protect humans during the war, uses Vega as his headquarters and continues to try to see that humans survive. The problem is that the war didn’t end with the angels wiped out, and it seems that they may be regaining their strength. Under the leadership of Gabriel (Carl Beukes), the angels may be ready for round two far sooner than humans realize. Michael is worried that while humans have been rebuilding, and solidifying the roles that keep the many under the thumb of the few, as is the wont of those pesky humans, the angels are going to be able to build a force that the now weakened humans won’t be able to defend against. This brings us to the myth/legend of The Chosen One, which may or may not require a viewing of the film to fully appreciate. The short version of the story is that a chosen child has been born and hidden, and will eventually be revealed when some indecipherable tattoos are transferred to him. Or, whatever. Naturally, lower-caste soldier Alex Lannen (Christopher Egan), who we follow from the show’s opening, and is in a forbidden relationship beyond his station with Claire Riesen (Roxanne McKee), turns out to be the chosen, but wants nothing to do with the idea. This, of course, adds another layer to our interest in the fact that Claire, who is in line to take over her father’s position as Lord of the City, has to choose between Alex, her love, and William Whele (Luke Allen-Gale), the potential groom in the arranged marriage put together by the city’s two most powerful men. It’s a tangled web already, and that only scratches the surface of the complexities at play, which also include relations with other cities, and angels infiltrating the city unnoticed. If you could just cut the screwball angels, and their screwball treatment, you might think you had a powerful drama in front of you. As it is, and because the writers and producers figure that many other elements are fantastically unnecessary once we’ve gone this crazy (and they’re probably right), this one lands as something more in line with this generation’s Hercules, as opposed to some of the cooler nonsense (whatever that might mean) we’ve found recently, like Lost Girl. The extent to which the show tries to be serious just doesn’t gel with not only the downright silly plot and plot steps, but also the development of characters. The show’s development of the plot arc, and its characters, are as overly simplistic and cliched as the details and structure are complex. There are a million things going on, but they only amount to a giant pile of overused conveniences and laughably obvious reactions and responses. The show’s saving grace is that it doesn’t fall all the way into the realm of calling its audience stupid. It’s inept, not insulting. For the right audience, meaning those inclined to show up in the first place, it’s the equivalent of a summer, popcorn film, and it manages to be fairly entertaining. Of course, if you can manage to pretend it isn’t taking itself as seriously as it is, you’ll have a much better time.